The modern camera has evolved from a machine that took minutes to set up, to a pocketable device that’s ready to go in an instant. With the latest advancements in imaging and computational photography, ProShot enables unprecedented control over how you capture your world. "If you can name it, chances are ProShot has it"
ProShot brings the familiar right to your pocket. With an array of modes and controls that are recognizable to the seasoned photographer, its design remains accessible to users of all skill levels. A fluid UI system makes switching between modes fast and easy, while an intelligent framework ensures the optimal mode is automatically set when timing is critical. Camera settings are centralized around the most important button on a camera: the shutter button. 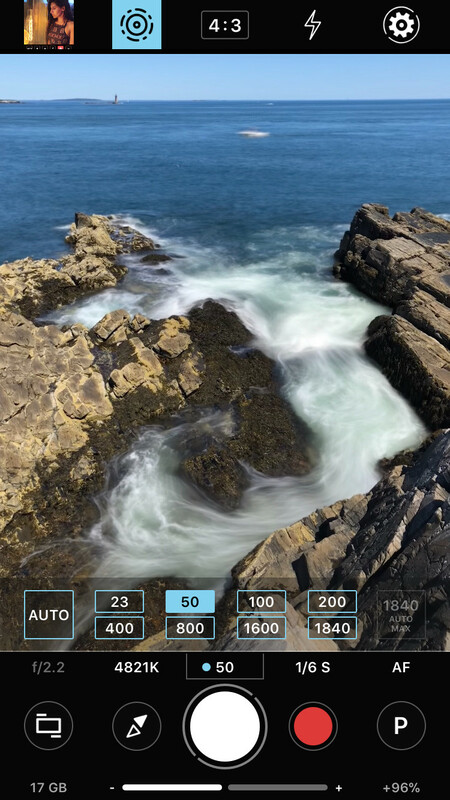 From here you can easily modify aperture, white balance, ISO, shutter and focus, including quickly switching between ProShot’s many different modes. All images captured using ProShot. Copyright 2018 Rise Up Games LLC.